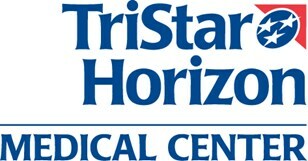 TriStar Horizon Medical Center is a fully accredited, 157-bed regional medical center. We offer a full array of services including cardiology, diagnostic imaging, emergency, inpatient rehabilitation, oncology, orthopedics and women’s services. As an Accredited Chest Pain Center and a Primary Stroke Center, TriStar Horizon is a leading provider of emergency heart and stroke care. Our satellite campus, TriStar Natchez, offers outpatient imaging and oncology services as well as a 24/7, full-service ER that provides the same capabilities and services as our main campus emergency room. Visit TriStarHorizon.com for more information.